When starting out in jewellery making, getting all the tools you need can seem like a daunting task. Jewellers hammers are used for many reasons, including shaping and forming metal and also creating amazing textures in your handmade jewellery designs. 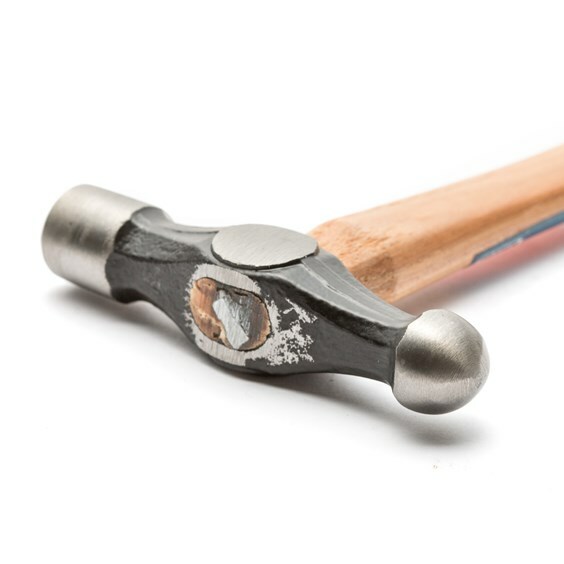 With so many jeweller hammers on offer, we've created a simple guide on what each hammer is and what exactly they are used for in the workshop. 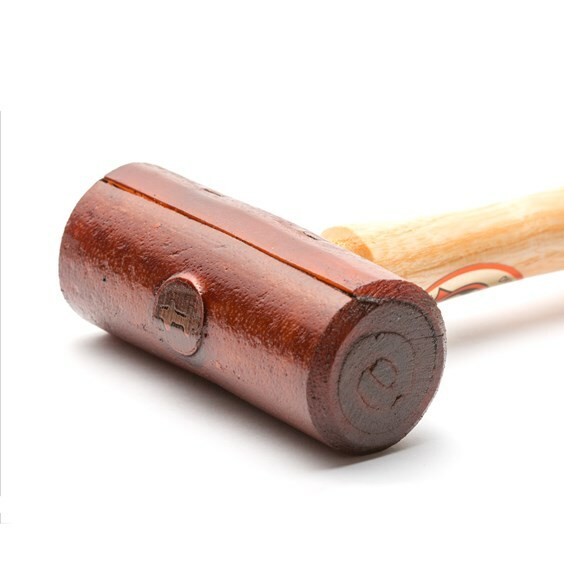 It is good to start with a Ball Pein Hammer as it is a good all-round hammer with a domed side and a flat round side. The ball side of the head is ideal for texturing metal while the flat end can be used to hammer Doming Punches with a Doming Block to create curves and domes in flat metal. For more advice on texturising metal, read our advice page. A Rawhide Mallet is ever useful as it is ideal for shaping metal around a Triblet without marking it. As it is made of compressed rawhide, the more you use it the softer the surface will become (which is nicer to work with) and in our experience, it is a tool that will last you forever as it gets better with age and use! When you want to start adding to your collection then consider a Cross Pein Hammer. 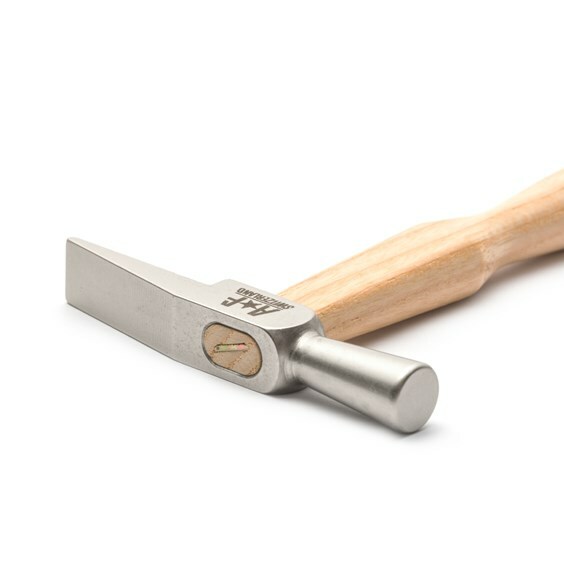 Also known as a Warrington hammer, this hammer is great for creating a bark-like texture on sheet metal. It's also a good weight for using with punches making it a good all-around hammer. For more specialist techniques then look to Jewellers Hammer which is much smaller and lighter in weight. 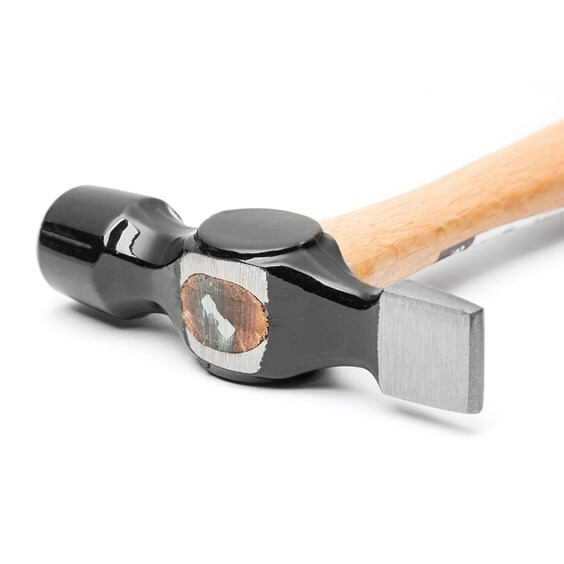 This hammer is essential for light precision work such as riveting and shaping. This can also be used to flatten wire and the thin tapered end can be used to create a lovely stripy 'bark' effect. Finally a Repousse or Chasing Hammer. The word 'repousse' comes from the French verb meaning 'to push back'. Developed especially for the technique of hammering a raised design from the reverse side of sheet metal, the handle is shaped for comfort and aids the repetitive use. 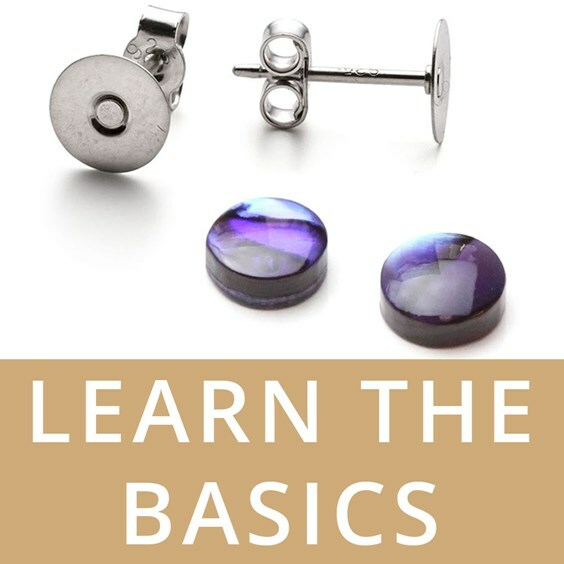 Head to our 'Learn The Basics' section for advice and guidance on jewellery making. 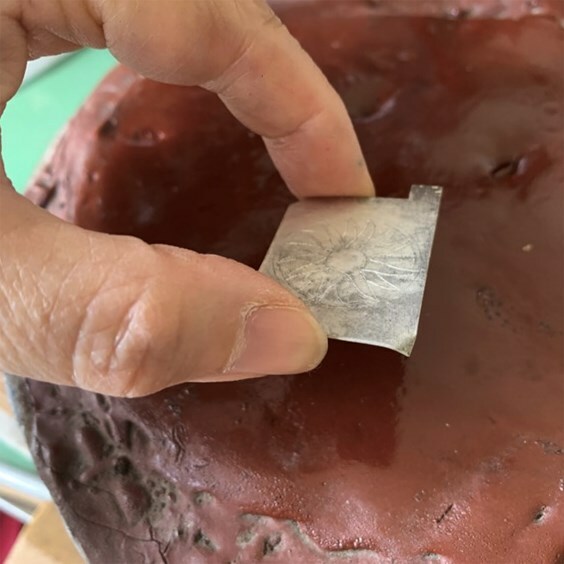 Targeted at beginners, we discuss everything from setting up your workspace at home (with customer inspiration), using glue to what pliers you need when jewellery making.